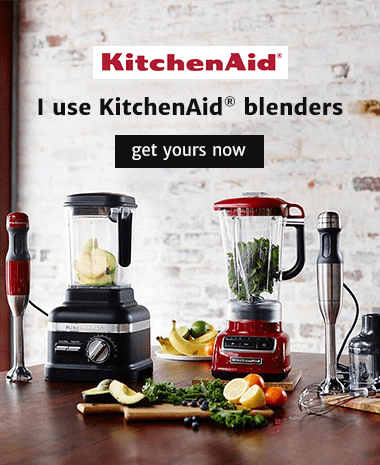 Why the KitchenAid Pro Line Series blender and the KitchenAid Diamond blender are my picks for the best blenders on the market. I am very proud to be the global ambassador for KitchenAid blenders. This was a very big change for me, and it was a huge decision that I thought long and hard about for over a year before I decided to officially work with them. When KitchenAid came to me a few year ago saying that they had a high-speed blender in development I was skeptical. I already loved what I was using, and found it very difficult to believe that anything could be better. However, reason dictates that technology improves, and it was only a matter of time before a company developed something incredible that was going to surpass the performance of the leading blenders in the space. I want to be using the best blender on the market, and that is now the KitchenAid Pro Line Series blender. It is my job to be familiar with the variety of blenders available around the world so I can give you the most informed recommendations for blenders at every price point. When the executives from KitchenAid brought a prototype to my house to try I was blown away by the design and the power. The communicated to me that they had an ambitious agenda to create the best blenders at every price point. I was excited about the possibilities of working on this project with a company that was known for superior craftsmanship with their iconic stand mixer. So, I signed on, and have been using my expertise as a blender expert and using my own experiences and data, as well as feedback I have recorded from my interactions from thousands of readers and consumers about blenders over the last 8 years. KitchenAid has some really exciting new blenders coming out in 2019 to celebrate the 100 year anniversary of the company. These blenders are absolutely incredible. I am so excited for them to be in kitchens all over the world. The next generation of blending has arrived! 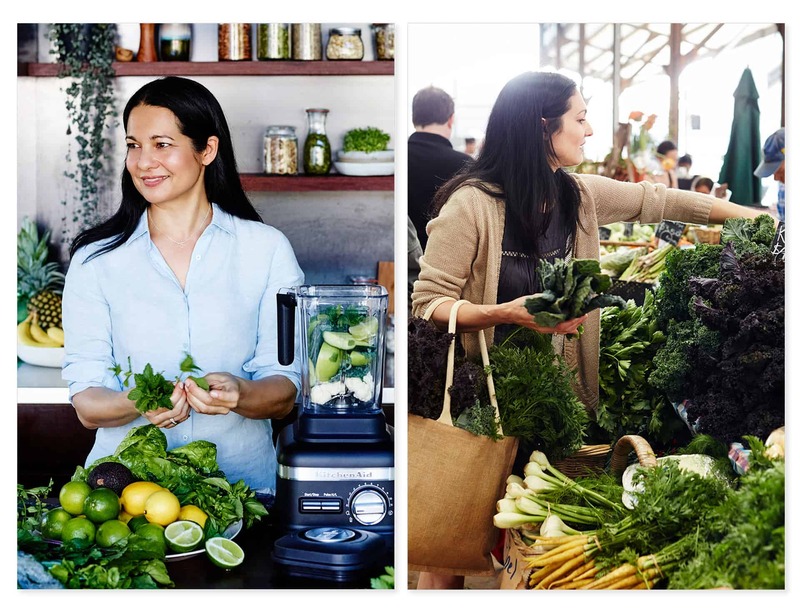 The KitchenAid Pro Line Series blender has done what consumers have been crying out for! This blender marks the first time in the high-speed blender space that we have form and function existing together in a machine. This stunning machine, that you can tailor to your personal style, is a gorgeous chic appliance that you can match in color to your stand mixer, and this style is matched by incredible performance. upgraded model with a dual-wall thermal insulated and pre-programmed settings. Both machines have the same powerful motor. Here are my favorite features that make it better than any other high-speed blender. A 3.5 Peak HP motor and the most power at the blade to make this blender the most powerful blender to pulverize ingredients for silky smooth consistencies. I’ve made the same recipe in this blender side-by-side with the leading high-speed machines, and this blender consistently blends things faster and gives things a smoother consistency. 3 Adapti-Blend™ Pre-Programmed Settings for Smoothies, Soups, and Juices, each with a unique range of varying speeds designed for a specific result and consistency. Pre-programmed settings are nothing new in the high-speed blender space, but these settings have been calibrated to perfection. For example, the Juice setting finishes on a slower speed to reduce the frothiness of the blend. 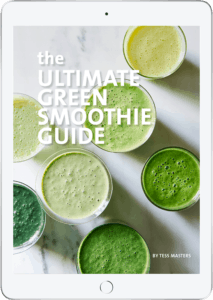 The smoothie setting gradually ramps up the speeds to blitz through tough leafy ingredients and ice cubes to make perfectly blended smoothies in just 40 seconds. The soup setting works with the thermal insulated container to heat soup faster than any other machine. KitchenAid will safely tell you this machine heats soup in less than 5 minutes. I’m blending up piping hot soup in 3 minutes. Variable speed dial that goes beyond 10 to 11 to take things beyond regular speeds to completely pulverize ingredients more quickly. Pulse H/L Switch is brilliant! Push upwards for an extra boost of power at any speed, or push downwards for a few moments of a lower speed, a great option if you want to get an idea of the texture of your blend. Thermal Control Dual-Wall Titan blender jar. This is the first insulated blender container and a game changer in the high-speed blender space. This container keeps all the heat inside when you’re blending on the soup program, and keep the contents cool when you’re blending smoothies and juices. BPA-free container with a soft-touch handle grip and asymmetric stainless steel blade. The lid always fits securely with the handle on a corner for easy use. Dual-purpose centre lid cap that doubles as a graduated 60ml measuring cup for pouring liquids. No space on this machine left unused. Removable Silicone Jar Pad. This is also nothing new. Most blenders have removable jar pads. But, again, KitchenAid is elevating the experience, and this jar pad is specifically designed so that the container sits snugly indented to ensure the jug won’t move about when blending at high speeds or when using the tamper with thick ingredients like with this cake. Tamper with a Flex-Edged Spatula. Again, this is not a new concept, but KitchenAid has made it better with a spatula that helps you scrape ingredients from the sides of the container while the machine is running, and also helps you guide ingredients out of the container when serving. Solid Die-Cast Metal Base instead of the plastic bases you get with other high-speed machines. As with all KitchenAid appliances this ultra-stable base with a high gloss finish results in an appliance of superior quality, durability, and stability. 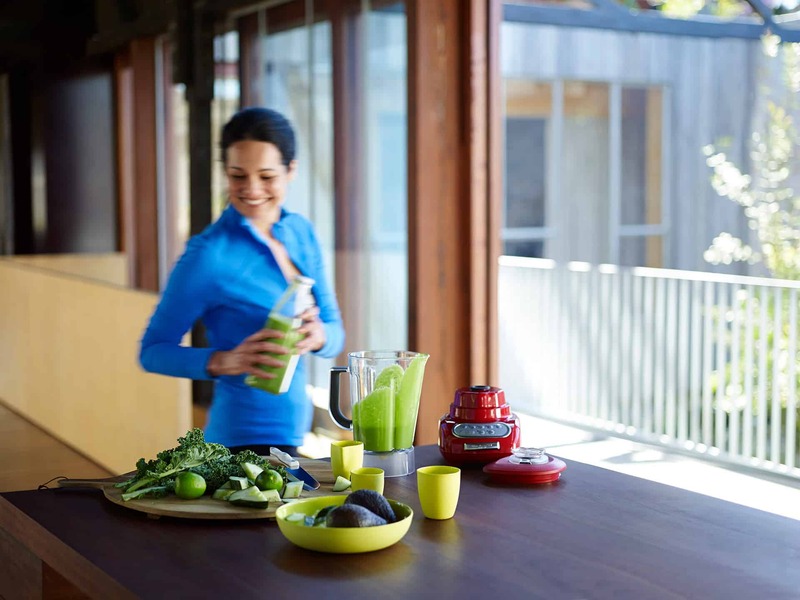 Learn more about the KitchenAid Pro Line blender.